I have delved into the hot jazz age with this vibrant combination of semi-precious jade and purple amethyst, interspersed with zesty lemon quartz on sterling silver. Perfect for a delicate touch of bright colour! Earrings identical to the pendant can be ordered. 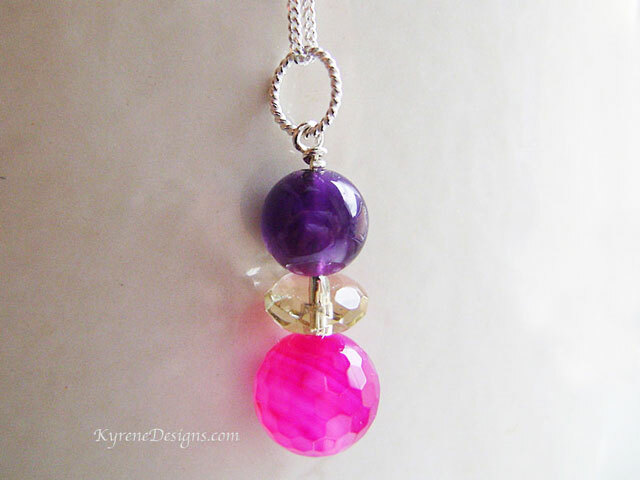 Length: Pendant 3.5 cm. 18 inches sterling silver chain. 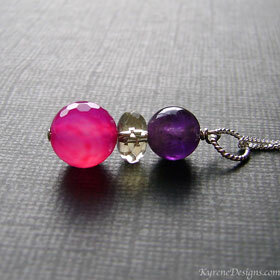 Gemstones: 10mm, 3mm, 8mm.